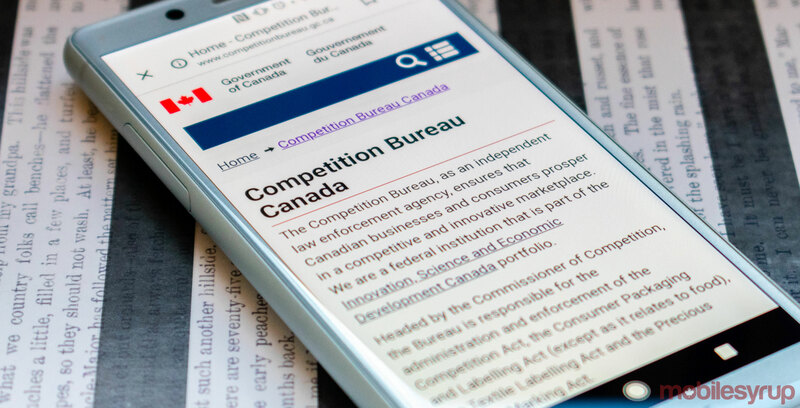 Innovation, Science and Economic Development Minister Navdeep Bains said it’s “difficult” to say whether the information the Competition Bureau is asking from the CRTC with respect to its review of mobile wireless services will slow down the process of the review. “I think at this stage it is difficult to make that determination,” Bains said during a recent interview with MobileSyrup. He did note that both the CRTC and Competition Bureau are independent and have the prerogative with how the process will work. The bureau will be studying and helping the Canadian Radio-television and Telecommunications Commission (CRTC) review the scope of mobile wireless services in Canada. That review was announced in February and a hearing is set to take place in January 2020. More recently, Matthew Boswell, the bureau’s Commissioner, sent a letter asking for more detail to conduct an economic analysis to determine competition in the market. The CRTC replied asking to clarify how this type of information would be relevant and to elaborate regarding the specifics of the request. Bains announced the proposed policy directive on February 26th that would require the CRTC to consider “competition, affordability, consumer interest and innovation” when making decisions. “How [the CRTC] goes ahead in terms of applying that policy on wholesale pricing or maybe with the data that the Competition Bureau is asking for, is really up to those organizations to determine how they execute the policy,” Bains said. The Globe and Mail also reported that the CRTC called for responses from others in the industry, and on Wednesday, April 3rd, Telus, Shaw, SaskTel and Tbaytel posted responses. The article reported that the letters also expressed concern concerning the amount of information the bureau was asking for. “The analyses we propose will provide the CRTC with real-world, evidence-based economic analyses to assist it in answering the questions they have posed, which are of great importance to Canadians,” he said.